Amazon Kindle 2 already had a decent display. 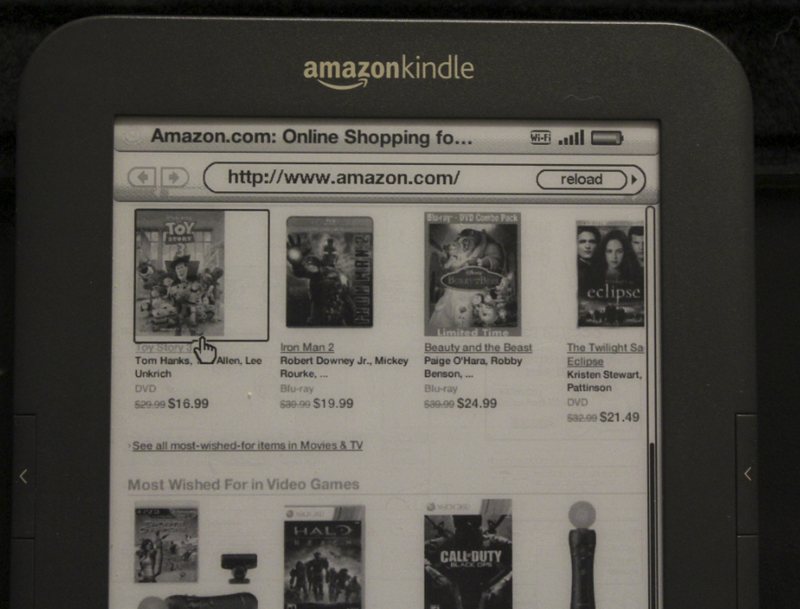 Amazon Kindle 3’s screen is that much better. It is advertised as having 50% better contrast. By comparing Kindle 3 with Kindle 2 and even Kindle 1, you can tell how big of an improvement its new screen is over those of older Kindle units. Reading on this tiny gadget comes as close as possible to reading on a paper book. The fonts are darker and crisper too, which helps. 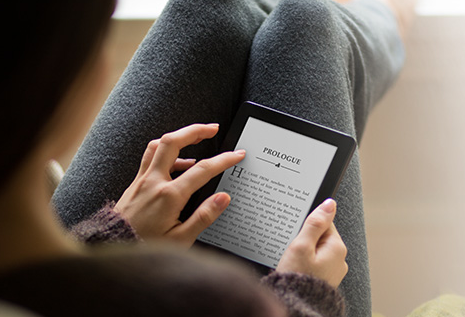 Kindle 3 is not only slim but easy to carry around. It’s made for those who spend a lot of their time moving around. The buttons are where you expect them to be. The 5 way controller could be a tad bit better. If you have had a chance to play with Apple iPad for a while, you are going to miss its display’s touch-sensitivity here. The buttons are pretty responsive. The device itself is super light. 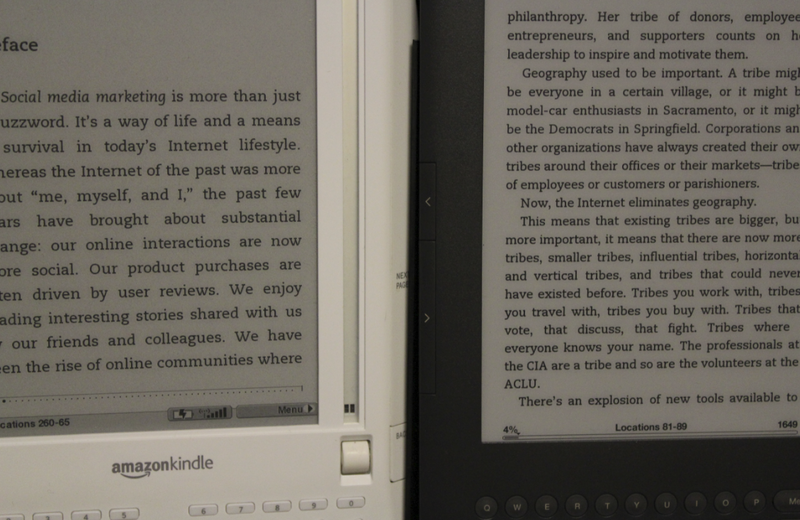 The body is smaller than that of Kindle 2’s. Unfortunately, that means your old Kindle 2 cases won’t work for this device. 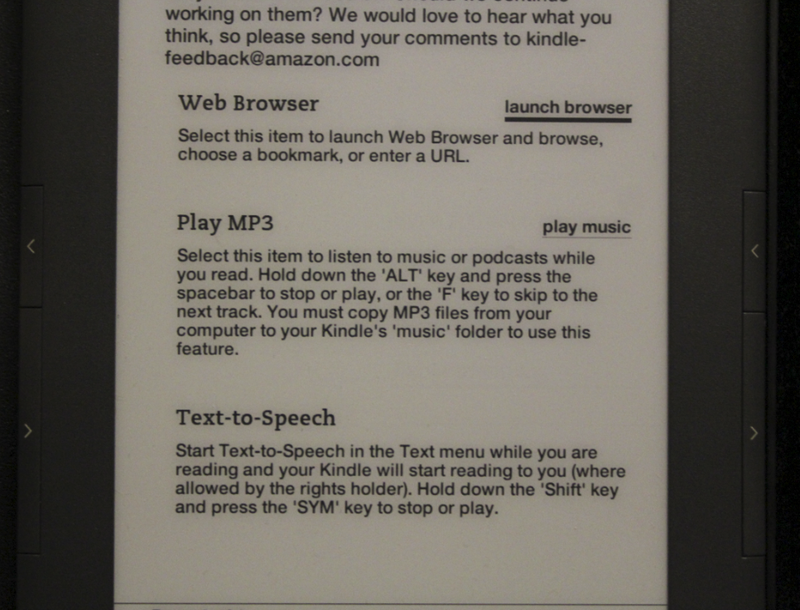 The most impressive feature that Kindle 3 has to offer. 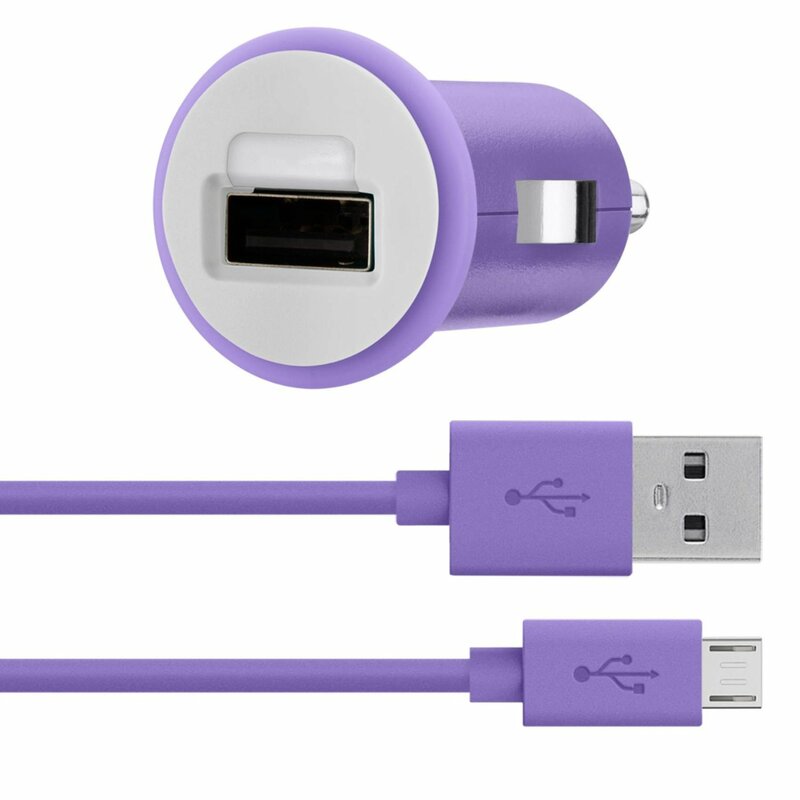 Not having to charge your e-reader for up to a month is a huge deal. iPad can last quite a while in stand-by mode. But we were able to get almost 2.75 weeks of battery life on this device (with wireless on). Unfortunately, this device has a non-removable internal battery. That means you won’t be able to change it easily. It’s possible but you have got to feel comfortable with taking your Kindle apart. The adapter is pretty compact and much more convenient to use than the big old one Amazon used to ship with older Kindles. 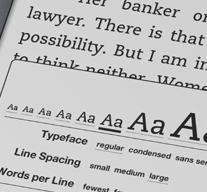 Kindle is compatible with PDF, Amazon, and other popular file formats. It still does not support ePub. That can be solved by using one of the top ePub to Kindle converters on the market. Word (DOC, DOCX), HTML, TXT, RTF, JPEG, GIF, PNG, BMP, PRC and MOBI are supported though. It would be nice if more formats were supported. The PDF reader should be much better. Connecting my Kindle to our Wireless G and N networks was a piece of cake. We did not have to do much to get the job done. Unlike Kindle 1, Kindle 3 can actually last a while even with network functionality on (Kindle 1 did not have WiFi). The Whispernet services are pretty useful. 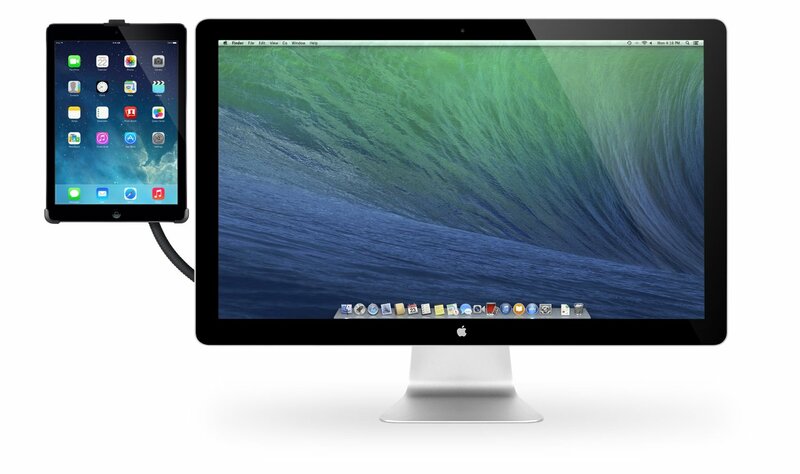 Document syncing and archives make life a lot easier for those who use multiple devices to read their documents. 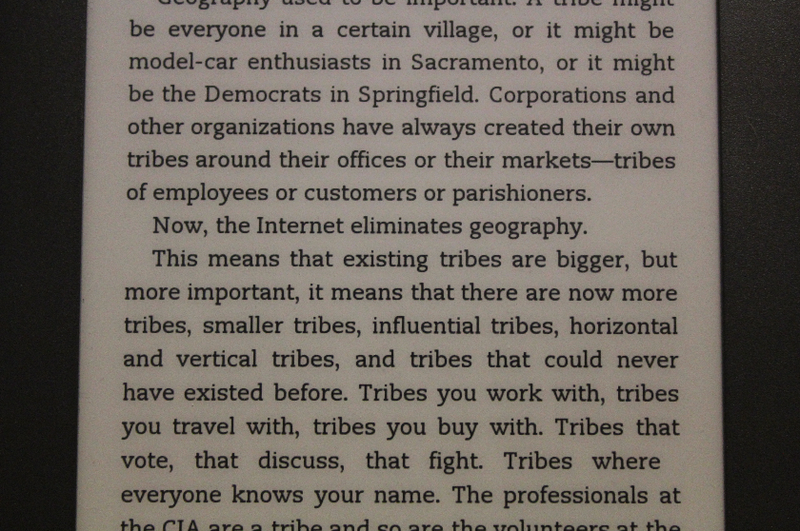 The web browser included on Kindle is pretty decent though one should not expect too much from it. We were able to read our Google Reader feeds on Amazon Kindle (nice to see it could be done). The device’s controls could be a tad bit better. We are still not sold on the whole 5 way controller idea. A touch screen controller could be much more powerful. 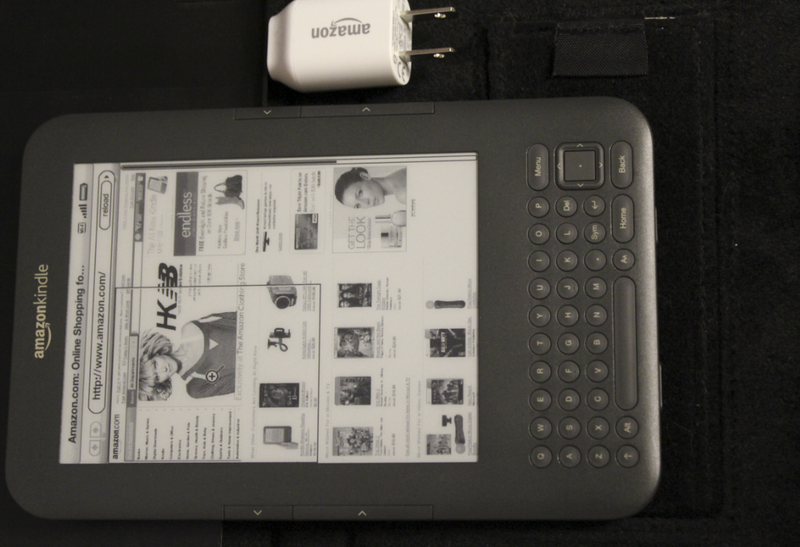 Kindle 3 does lack a color display, and that could be a big deal for students and those who read image-heavy books. 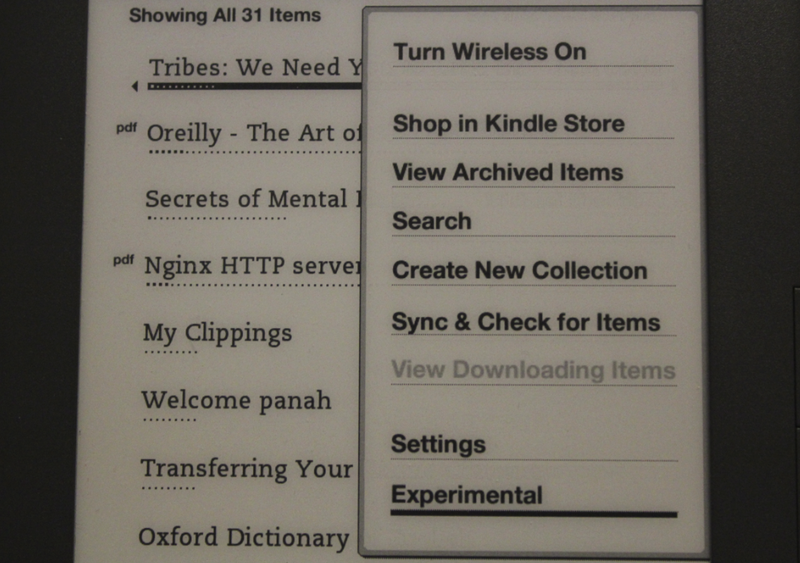 Adding touch capability and supporting more document formats could only help Amazon Kindle at this point. 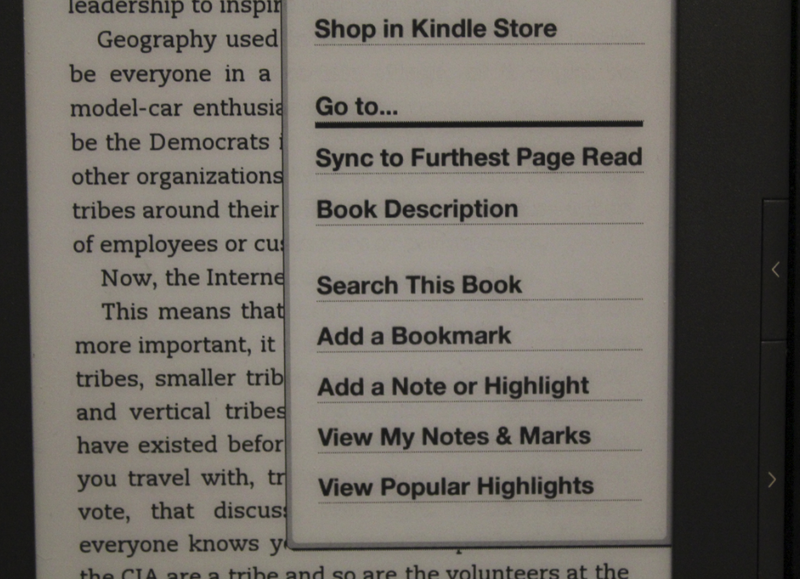 Amazon Kindle’s software interface still needs a lot of work. It is not as intuitive as it should be. Amazon can learn a lesson or two from Apple here. Finally, the screen seems to be a bit too small. Once you try Kindle DX and Apple iPad, it is hard to go back to a smaller screen. It’s good enough for traveling and everyday reading, but not so much for long research sessions (especially with PDF documents). Kindle DX is too pricey at this point, but it could give people who are looking for an e-reader with a larger screen a way out. Kindle 3 is a major step up from older Kindle devices. We are still not completely satisfied with it. It’s very light and quite well designed. It’s so slim, you’ll have to be careful with it when you are carrying it around. Reading PDF documents on this device was a pain. It’s true that users can zoom in on PDF books but that could take away from their reading experience. The device’s screen is very nice. Reading on it feels like the good old days of reading paper books. The battery life is quite impressive too. I was quite impressed with iPad early on but when it comes to reading experience, nothing comes close to what Kindle 3 offers. 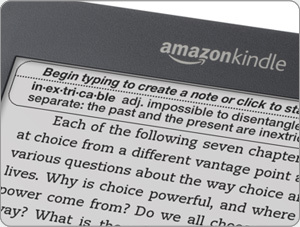 Reading tools such as built-in dictionary and Wikipedia access make the Kindle experience more complete. 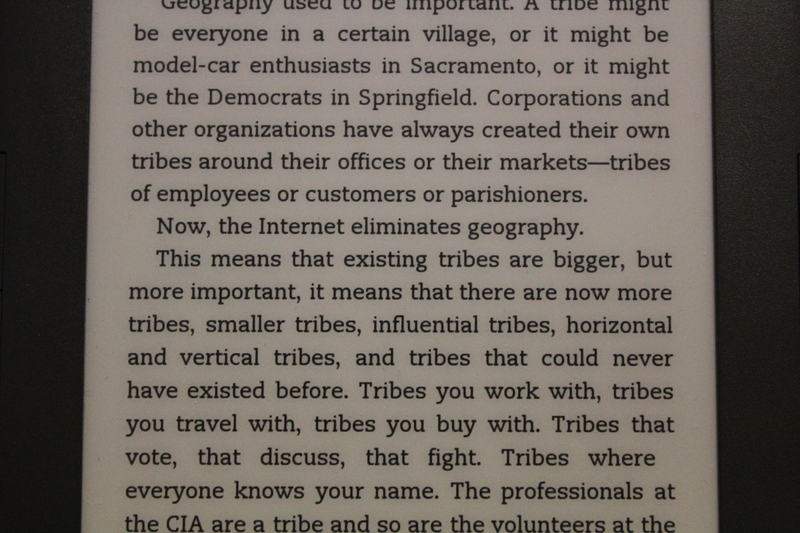 Kindle 3 is not too social media friendly but it lets you get your feet wet with social reading for now. We have been quite tough on Amazon Kindle for the past couple of years. 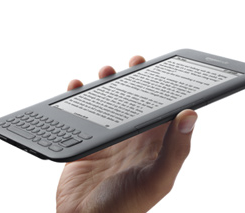 Kindle 3 is probably the first Kindle that is a must have. The device is mature enough for book addicts to put their trust into. That does not mean Amazon can’t further improve this device (in fact it should). 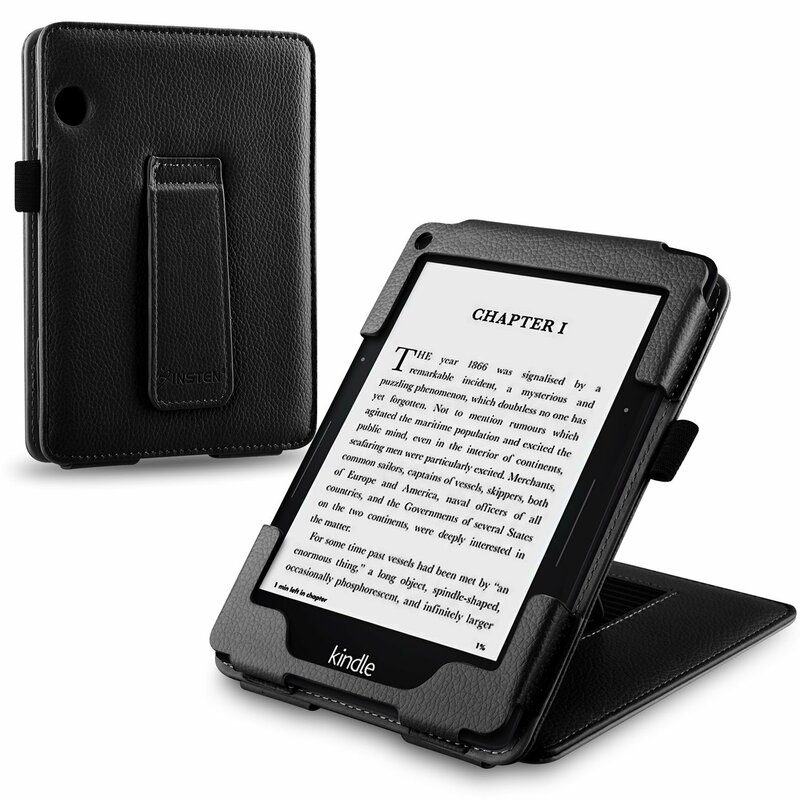 But Kindle 3 is now affordable and tested enough for more people to start using it with confidence. Disclosure: we were not provided with a review unit for this device. We did not ask for nor received a sample unit or any payment to prepare this review. Previous story Agency Model: Amazon.co.uk next?